Chef Morimoto designs knives that celebrate his signature cooking style - a blend of the best Japanese and Western techniques. 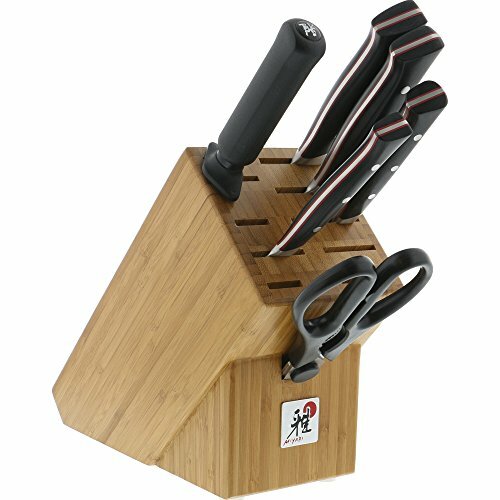 MIYABI Red Morimoto Edition merges the sharpness of authentic, Japanese blades with the comfort and easy care of Western knives. Made from high-carbon, German stainless steel, these FRIODUR blades are exceptionally corrosion-resistant. The time saved on knife maintenance means more time to spend on cooking.Durable, ergonomic, and sharp, savvy home cooks that are new to Japanese knives will appreciate MIYABI Red's ease of use. Handcrafted in Seki, Japan.